Willamina’s Chelsea Moser, a multi-sport star and a member of the All-Valley Girls Track Team announced today, committed to play volleyball at the University of North Dakota. She can seal the promise by signing a scholarship agreement in November. She has a prototypical volleyball player's body — long and lean — and the athleticism to go with it. Moser placed third in the Class 3A state high jump finals in track and field, and in the top 10 of the 100 and 200 meters. "The girl can jump out of the gym; she has great speed, and she has the best hands on the team," DeHart Zimbrick said. Emily Thompson of Carrington (who led Carrington to the Class B girls basketball championship last year) had volleyball offers from both UND and NDSU. She chose UND. Thanks for the insight - I was wondering about that. Hardee himself stated that in an interview. Wonder if Hardee will pull in a transfer. What did Hardee state in an interview? I like how Hardee continues to scoop up top N.D. talent. Sounds like a good "get" for UND. Still curious what he didn't see in the Steffen girl out of Red River. And the North Dakota theme just keeps getting better. 6'3" middle hitter Faith Dooley commits to UND. Looks like we are starting to really win those ND battles with NDSU. The RR gal is 5' 9', which is a bit short for an OH hitter. Kira Larson of Fargo North signed with Nebraska, which is normally a top 5 program. I wonder if some of the girls won't be with the team next year. Hardee is already playing two freshmen every game (McKenzie Hart, and Lauren Clarke), while some sophomores are hardly played, if ever (Kim Kuechle, Kyle Evert, Emily Asche). Naomi Dahl was red-shirted, and now in her second year has hardly played. When other schools come in, their rosters are significantly shorter than ours, so it gets me wondering why we have so many girls - I guess we have enough for two teams in practice. Wondered the same but at beginning of year lots were playing and then this is more of the settled tourney line up. How many scholarships do we dole out? I'm guessing the money is shared among many players. Obviously every girl is here for school so I'm not sure how many would transfer. Maybe a couple from further away. I am surprised that the Carrington girl has been getting more time than Asche. In DI women's VB, 12 full scholarships are allowed. Scholarships can't be shared either. So if a half scholarship is given for some reason (like budgets), the other half can't be given. 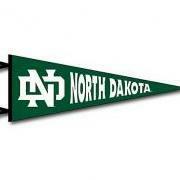 Some of the UND girls are non-scholarship/walk on players that must play into a scholarship. Perhaps others were given a one-year scholarship, with future years dependent on progression. Anna Pioske, a 5'11' outside hitter from Waconia, has committed to UND based on a Star-Tribune report. Some recruiting services had listed her as the #10 prospect in the state, with most of those above her going to top 20 programs. NDSU is getting totally dominated recruiting wise by UND in the two big women's sports they share. Steffen isn't listed as a NLI signee at NDSU, so she must be a preferred walk on there. Except for setters, liberos, and defensive specialists, a gal under 5' 10" or less has major obstacles to gain a DI scholarship. The liberos and defensive specialists often don't get scholarships, as height is so coveted. Looks like UND missed out on a 6' middle hitter (that may be moved to OH) to Notre Dame. Kira Larson joins the Huskers from Fargo North High School in Fargo, North Dakota. She ranks as the No. 23 player in the country by PrepVolleyball.com and was recently named an Under Armour second-team All-American. Larson posted 558 kills, 108 aces, 137 blocks and 394 digs as a senior leader on the Fargo North squad. As a junior, she recorded 554 kills, 123 blocks, 247 digs and 81 aces. Kinda looking ahead at the class of 2014, but it appears that UND has gotten a verbal commitment from 5'11 S/OH Sydney Griffin from Marshall, MN. Currently the #6 rated Junior in the BreakdownUSA recruiting ranks (which does the preseason books for Minnesota, same place where SiouxVolley got his info). This girl has come a long way since playing varsity as a freshman, and she is only getting better as a player. She is part of a very strong program and a great coach. She is like a swiss army knife of a volleyball player. According to the article, she is a setter. Hardee must have her tagged as the setter of the future after Nikki Husheldt graduates (Griffin will be a freshman when Husfeldt is a senior). Another in-state volleyball standout from North Dakota is heading to the University of North Dakota. Fraase also visited North Dakota State and Creighton in Omaha, Neb. Fraase is the third local athlete to commit to play volleyball at UND in the last year. Former Kindred standout Kellie Schmit, who will be a freshman at UND this fall, and Central Cass senior Faith Dooley gave their commitments last school year. UND has seven in-state players on its 2013 roster. A tectonic shift in the valley in volleyball has been completed. The southern team in now essentially the JV one that no one want to play on. The silence by bison trolls on their two major women's programs is astounding! Talk about programs that have tanked as neither can competitively recruit. Yet, NDSU plays you in Volleyball and basketball, vs. you ducking NDSU in softball the past 4 years. A new arena and coaching change is basketball will turn it around. Volleyball had been dominant and higher ranked than your squad save last year, so pound your chest while you can in 1 or 2 sports.